Brace Yourself Classic Edition - The Brace Booth Legacy - Put Braces On Yourself! Brace Yourself Classic Edition – The Brace Booth Legacy – Put Braces On Yourself! 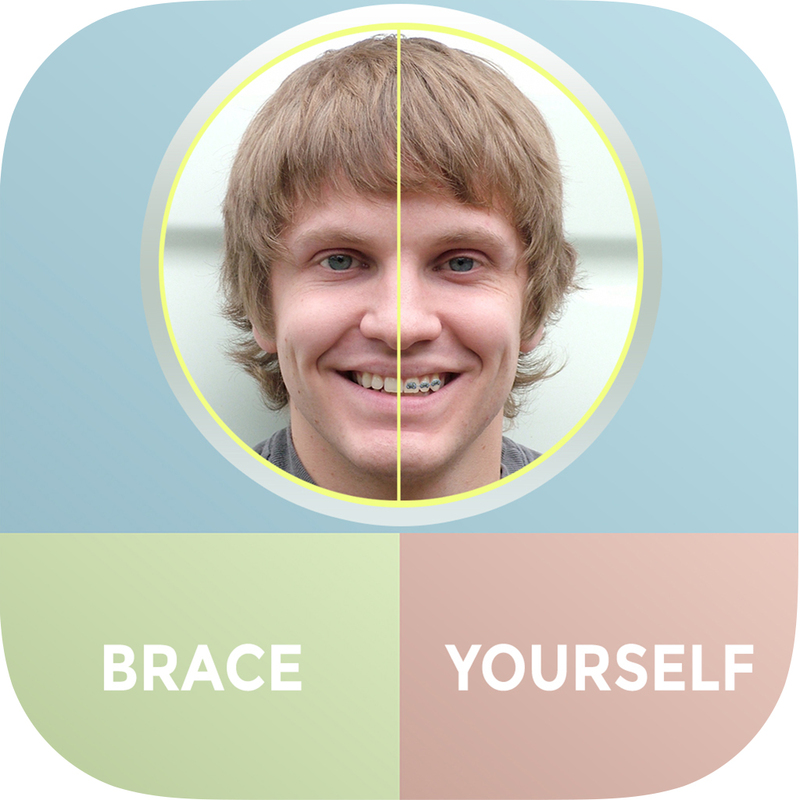 Brace yourself is a way to see yourself with Braces on using your iPod Touch, iPhone & iPad. Featuring up to 30* different sets of Braces to try why not see how fun this app can be! Need more than one set of Braces? No problem! Great for photographs with multiple people in, as you can add more Braces to the photos, so no one need feel left out! If there are 5 of you in the photograph, simply add 5 sets of Braces! Why not then share your photos on Facebook or Twitter? Save them to your device or even Email them! No problem using the built in share facility in this app! ~ Universal App – Compatible with iPhone,iPad, iPod Touch! Be sure to have hours of fun! It’s certainly an app to get your teeth into! * Brace yourself comes with 12 sets of braces to use, upgradeable to 30 via in-app purchase. – We had many loyal fans of the original app who preferred the ‘Classic version’ instead of our sequel ‘Brace Yourself 2’ so we have released this classic version to please our loyal customers! Thank you and enjoy! 2 reviews for Brace Yourself Classic Edition – The Brace Booth Legacy – Put Braces On Yourself!